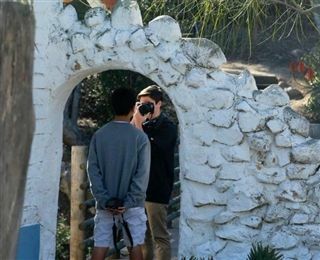 Last week, Ms. Pietrowski's Digital Photography classes headed out to Carlsbad's Leo Carillo Ranch to practice portraiture. The historic ranch, located at the heart of a 27-acre canyon, provided plenty of picturesque scenery and opportunities for creativity. Students spent around four hours at the ranch, taking turns in front of and behind the camera, and learning how to best utilize the abundant natural light.